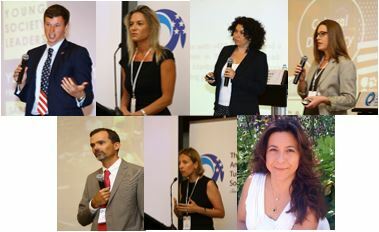 The American Turkish Society hosted its inaugural Young Society Leaders (YSL) Summit on June 20, 2014, at Sabancı corporate headquarters in Levent, Istanbul. The first-ever Young Society Leaders (YSL) Summit provided a unique opportunity for participants to take a deep dive into topics ranging from politics, culture, economics, bilateral U.S.-Turkey relations and more. The afternoon sessions were comprised of two panels:one on "U.S.-Turkey Ties: The Future in Global Context" and the other on "Turkey: Ways to Enhance Pluralism."